Major General Arnold W. Bunch, Jr. The Air Force Test Center is a development and test organization of the United States Air Force. It conducts research, development, test, and evaluation of aerospace systems from concept to deployment. It has test flown every aircraft in the Air Force's inventory since World War II. The center employs nearly 13,000 people and controls the second largest base in the Air Force. On 6 July 2012, the previous Air Force Flight Test Center was redesignated the Air Force Test Center. 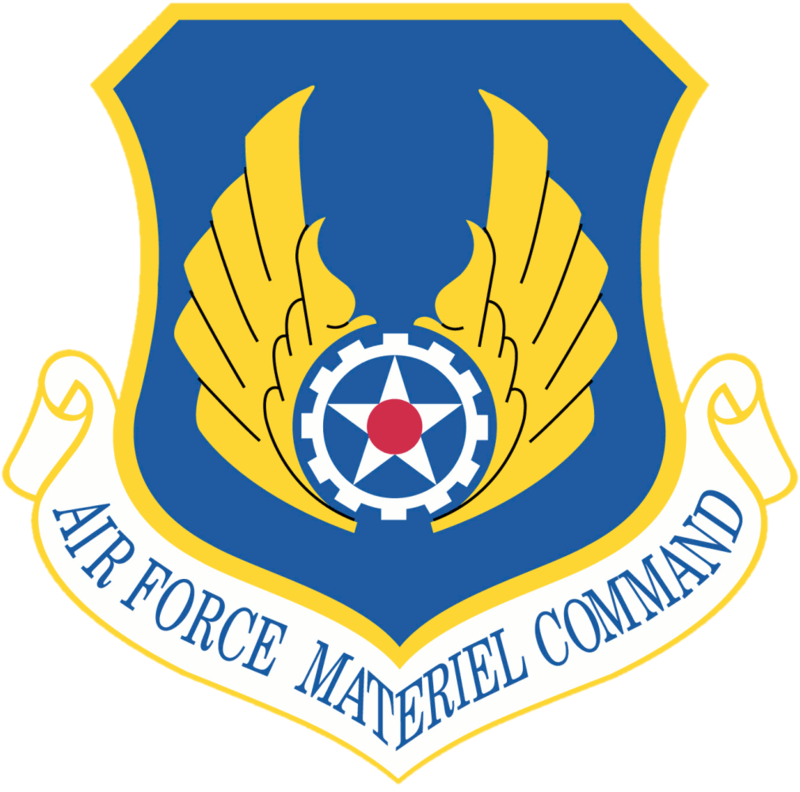 Up until July 2012, the AFTC consists of two subordinate wings. The 95th Air Base Wing provides installation support for all units on Edwards Air Force Base. The 412th Test Wing conducts aircraft testing and evaluation. In July 2012, the redesignated 96th Test Wing at Eglin Air Force Base, Florida, also came under control of the AFTC. P-59A Airacomet with the short-lived red outlined National markings (June–September 1943). Flight testing began at Muroc Army Air Base (later renamed Edwards Air Force Base) during World War II. It was the site of the first U.S. jet flight on 1 October 1942 when the top secret XP-59 conducted its initial flight. Following the war flight testing officially became the base's primary mission. Beginning in 1947 the base hosted the experimental X planes, initially by the Army Air Force Flight Test Division. Flying a Bell X-1 Chuck Yeager broke the sound barrier on 14 October 1947. Simultaneously, the base was hosting testing for proposed weapon systems including the F-84 Thunderjet, F-86 Sabre, F-94 Starfire, and B-45 Tornado. The organization was formally activated on 25 June 1951. Technology pioneered through the AFTC led to remarkable advancements in aviation. The "Century Series" of aircraft provided the United States with its super-sonic fighter fleet. Meanwhile the aircraft of the X series continued to set speed and altitude records. Major Robert "Bob" White became the first person to fly an aircraft into space on 17 July 1962 when he flew his X-15 to an altitude of 314,750 feet. Flying the same airframe a year later Joe Walker reached an altitude of 354,200 feet (67 miles). On 3 October 1967 William "Pete" Knight set the standing aircraft speed record of Mach 6.72 (4,520 mph), again flying an X-15. When the space program began a number of astronauts were selected from the Air Force's test pilot cadre. Additionally, the AFTC assisted with the testing of rocket engines and re-entry vehicles. YAL-1A Airborne Laser undergoing flight testing. The AFTC continues to test current and future weapon systems as well as conducting concept testing for aircraft subsystems. The center has, for example, demonstrated the feasibility of digital flight control systems, new propulsion concepts, and stealth capabilities (through the Have Blue program) that have since been incorporated into active aircraft. The center also assisted with the development of the Space Shuttle, Air-Launched Cruise Missile, and LANTIRN systems. More recently the AFTC has been part of the anti-satellite missile and Joint Direct Attack Munition development. Additionally, the center has played a key role in the development of the Air Force's burgeoning unmanned aerial vehicle fleet, the F-22 Raptor, F-35 Lightning II, and the YAL-1 Airborne Laser. NASA maintains its Dryden Flight Research Center on Edwards and partners with the AFFTC on aircraft development. Effective 6 July 2012, it was redesignated from the Air Force Flight Test Center to the Air Force Test Center. The Air Force Flight Test Center Museum is open to military personnel with credentials to enter the base as well as general public tours offered periodically. The museum also features 40 aircraft on display at the museum or the nearby Blackbird Airpark in Palmdale, California. The museum also features aircraft engines, missiles, hardware, life support equipment, technical drawings, test reports memorabilia, and models. Gelzer, Christian. 60 Years of Flight Research at NASA Dryden. Edwards Air Force Base, California: 60 Years of Flight Research at NASA Dryden. Luther, Craig W. X-Planes at Edwards AFB. Edwards Air Force Base, California: Air Force Flight Test Center History Office, 2007. Young, James A. The U.S. Air Force Flight Test Center:Forging Aerospace Power for America. Edwards Air Force Base, California: Air Force Flight Test Center History Office, 2007.